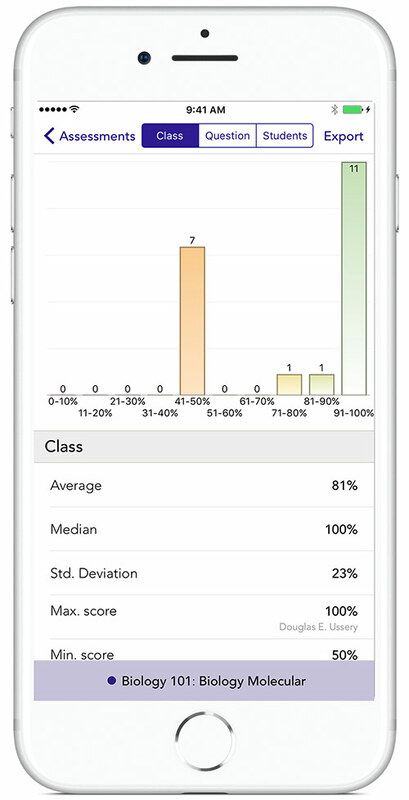 GradeScanner statistics shows bubble selections for each question , the class average result , Deviation , Max. 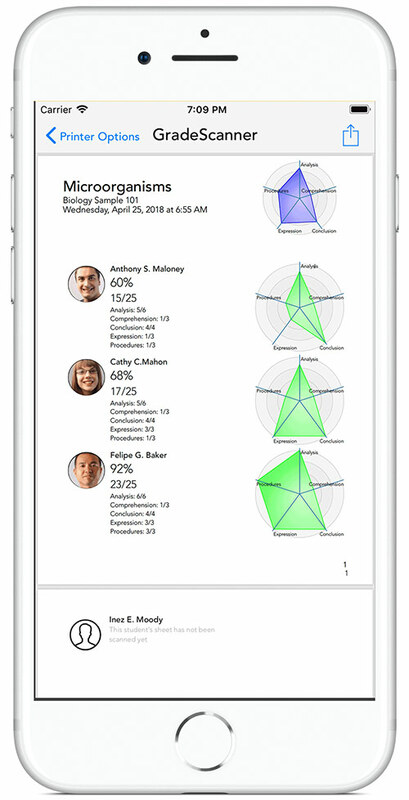 score plus statistics per class , student spider chart. 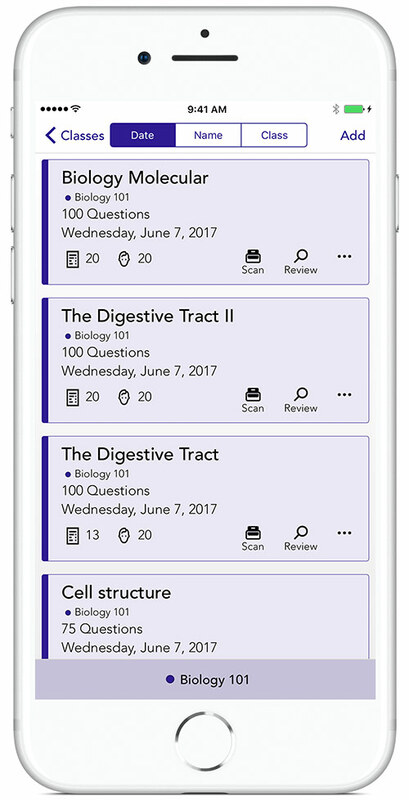 Create your classes and students in no time. 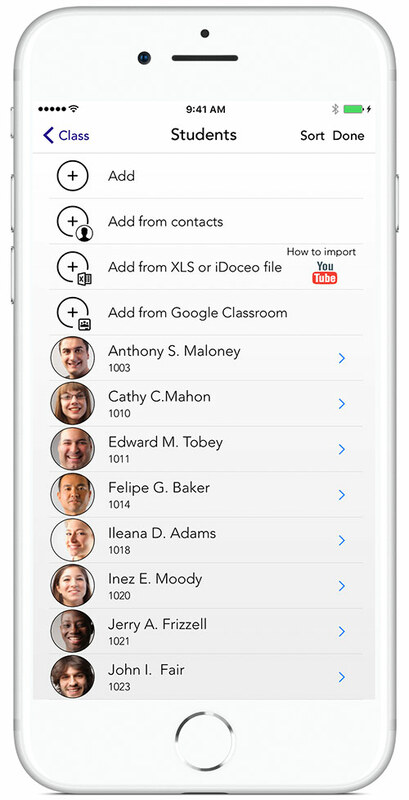 Or import the classes from XLS , CSV, Google Classroom, iDoceo. 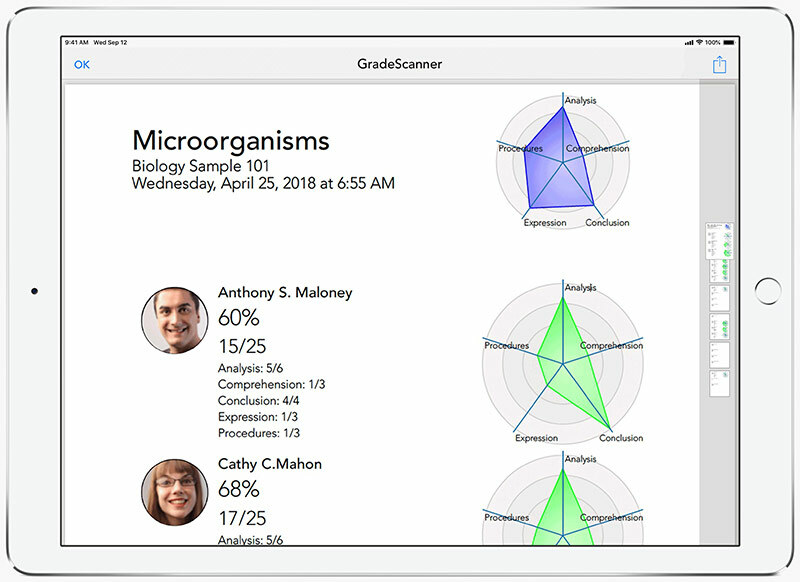 With iDoceo GradeScanner you use only the most modern, convenient and interesting solution to grade automatically your assessments.We want the app that you download look unique and new for as much time as you use it. There are 3 types of predefined bubble sheet. 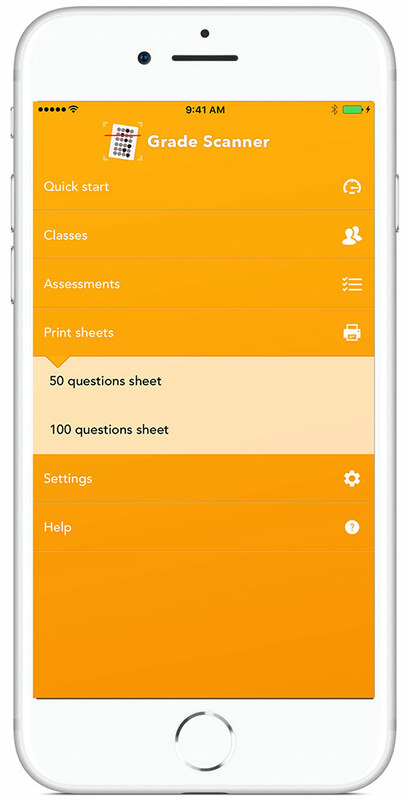 Maximum of 25 questions, 50 questions or 100 questions plus the numbers of configured questions stays flexible in each sheet model. When reviewing the student's tests , any answer can be overwritten by the teacher and also any number of questions can be cancelled if the teacher decides to do so. Each question can have one correct bubble or several bubbles as answer. iDoceo GradeScanner’s engine is Computer Graphic Vision based software, using the most advanced algorithms to scan bubble tests. 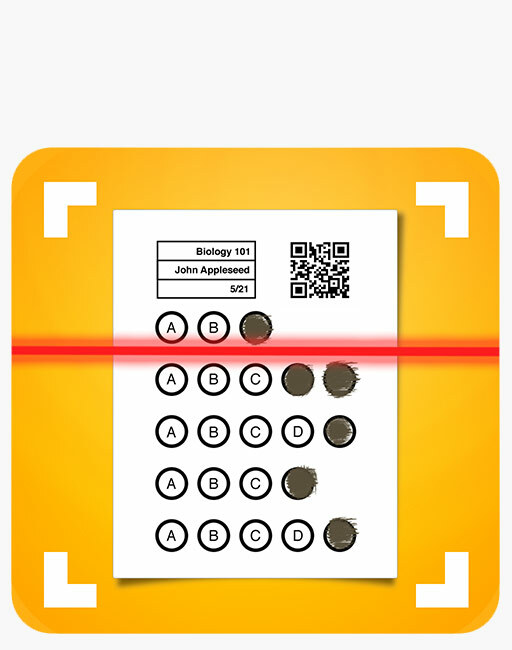 The app learns what are the bubbles marked and what bubbles are not marked or just marked and later erased. 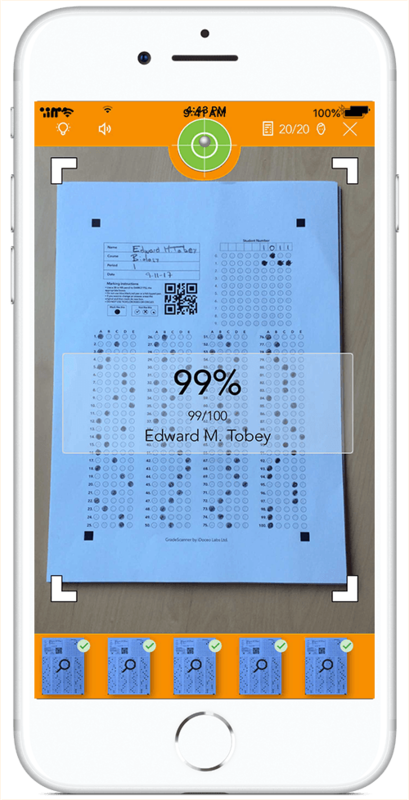 The exams sheets must be placed below the iPhone or iPad to be scanned , it is advisable to have the sheets in a straight position but the app is capable of sorting this issue if some exam is scanned in a somewhat skew position. To get the best of the algorithm and the most reliable results it is advice to scan the exams in a fairly illuminated environment and explain to the students that the bubbles must be filled and not just cross marked. How much is 2 plus 4 ?